Vector graphics set with sport symbols. Square icons with silhouettes of people playing ball games and performing different types of physical activity. 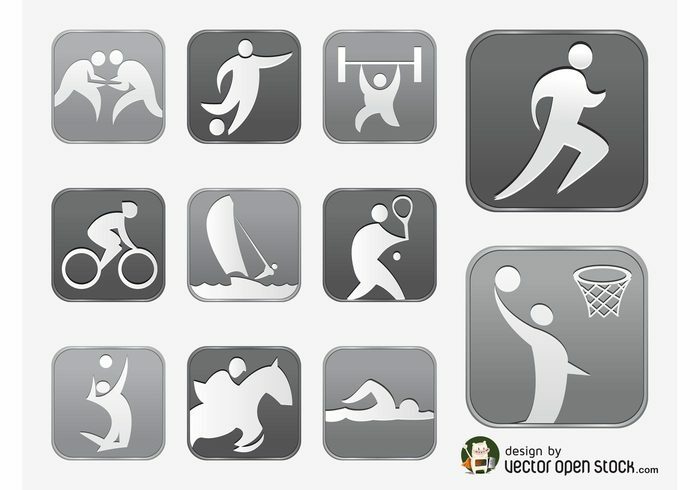 Free vector icons for wrestling, football, weightlifting, running, cycling, sailing, tennis, swimming, basketball, volleyball and horse riding.